Rae Bareli: Breaking his silence since the major row triggered by Congress on the Supreme Court verdict on Rafale, Prime Minister Narendra Modi on Sunday flayed the principal opposition party for seeking to raise questions on the credibility of the highest court of the land. 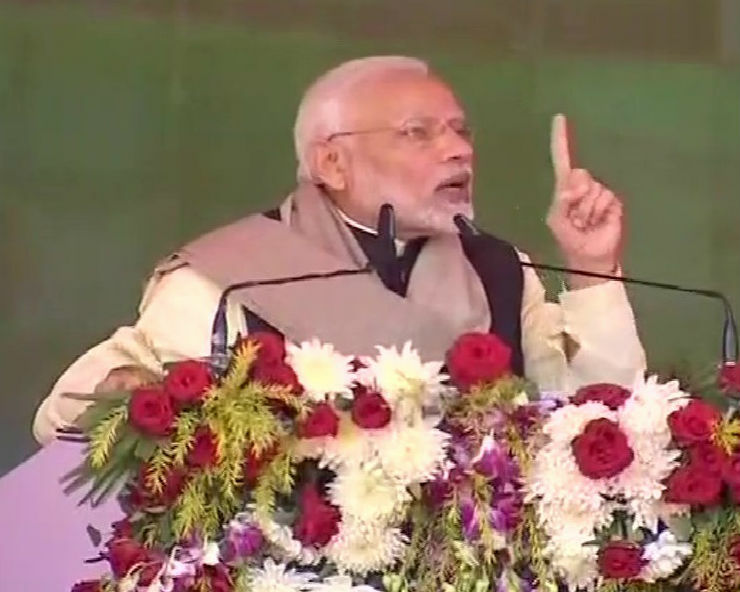 “Our government is accountable to thousands of families of soldiers in the country...not to one family only,” Prime Minister told a large gathering at Congress leader Sonia Gandhi’s parliamentary constituency. “For them (Congress party and its associates), country’s Defence Ministry does not speak truth. Defence Minister is also a liar. Air Force top officers are liars. Even French government is not telling the truth; and today they even find fault with the highest court of the land,” Prime Minister said. Referring to the repeated allegation of irregularities from Congress and its president Rahul Gandhi in the Rafale deal especially aftermath the Supreme Court verdict, Mr Modi said in every defence deals and pacts since Independence, the Congress party has done business with foreign middlemen. “They have always had business with ‘Mama’ maternal uncles and other uncles,” he said in reference to Italian Ottavio Quattrocchi vis-a-vis Bofors scandal during Rajiv Gandhi era and Christian Michel, who was arrested in the UAE and extradited to India on December 4 in connection with AgustaWestland chopper deal. In this context, he recited some lines from Ramcharit Manas and said the Congress leaders seemed to have relied heavily on the saying - Jhoot hi lena, jhoot hi dena, jhoot hi bhojan aur jhoot hi chabana (For such people, it is falsehood that thrives everywhere)”. But he asserted that no matter how much lies is spread, in the ultimate truth only will triumph. “Congress party’s approach to defence preparedness will never be forgiven by the country. After Kargil conflict forces had recommended for upgradation of Air Force preparedness. The Congress party was in power for 10 years, yet it did nothing,” Prime Minister said. “Why this was not done....under whose pressure?,” Mr Modi wondered. Prime Minister referred to Quattrocchi on Bofors and in respect of Christian Michel - the alleged middleman in AgustaWestland chopper deal, he described Michel as “another uncle” of Congress leaders.